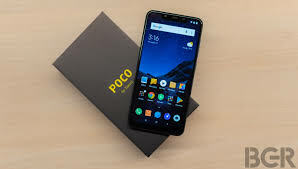 China's mobile maker Xiaomi's all brand Poko launched its first smartphone Poco F1 in India in August. During the launch, the Xiaomi's Poko F1 is only for online market. This handset was exclusively sold on e-commerce site Flipkart and the company's official site Mi.com, but now this Xiaomi smartphone in India will be available for sale on the offline store. All brands of Xiaomi's Poco have recently announced that October 13 that means Xiaomi Poco will be sold at F1m Home Store from today. Apart from the home store, I will find this handset on October 13 at the Offline Partnar Store in Xiaomi. As soon as the festive season begins, the company has made its Powerful smartphone with Snapdragon 845 chipset available to the customers. Poco F1 has three options for inbuilt storage - 6 GB / 64 GB, 6 GB / 128GB and 8 GB / 256 GB. With the help of a hybrid sim slot, user storage can increase to 256 GB. The Qualcomm Snapdragon 845 processor is used in the phone, which comes with LiquidCool technology. The same chipset is used in OnePlus 6, Samsung Galaxy Note 9 smartphone too. In the offline market the handset will be priced around the online price. Xiaomi Poco F1 Price and Specifications in IndiaIn the market, the 6 GB RAM of Xiaomi Poko F1 and 64 GB storage variants will be sold for Rs 20,999. On the other hand, the price of 6 GB RAM and 128 GB storage variant will be Rs 23,999. The phone's 8 GB RAM and 256 GB storage variants will be sold for Rs. 28,999. The smartphone has a polycarbonate back. It will be available in Rosso Red, Steel Blue and Graphite Black Color. In addition, an Armored Edition of Poco F1 is also offered which costs Rs 29,999. Speaking of camera setup, there are two cameras on the back of Xiaomi Poco F1. The primary sensor is of 12 megapixels. This is the Sony IMX 363 sensor. The same sensor is used in the flagship phone such as Mi8 and Mi Mix 2s of Xiaomi. The second 5 megapixel is Samsung's depth sensor. The front camera is 20 megapixels, which is equipped with HDR and AI beauty features. The phone has infrared light which works in the Face Unlock feature. Xiaomi told that the AI ​​camera has been tuned to India and there is also a Scene Recognition feature. The company has talked about being the DirectX HD Sound Support.